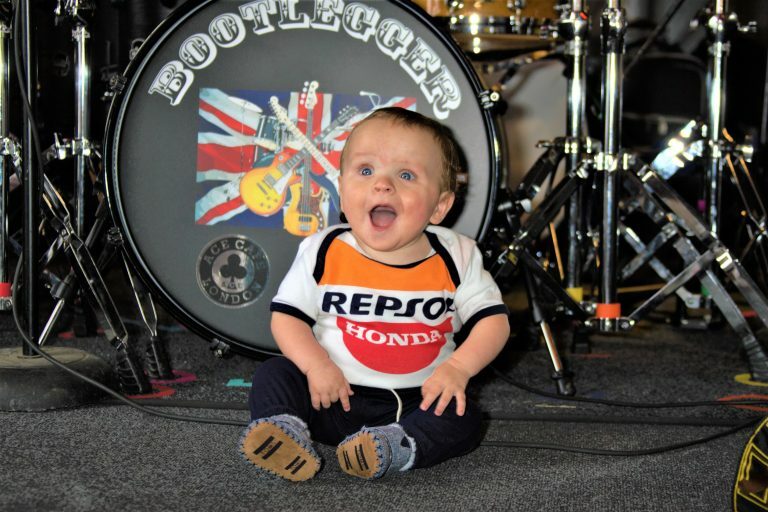 Bootlegger were thrilled to be asked to play at the Annual Harley Day in August at the Ace Café London. 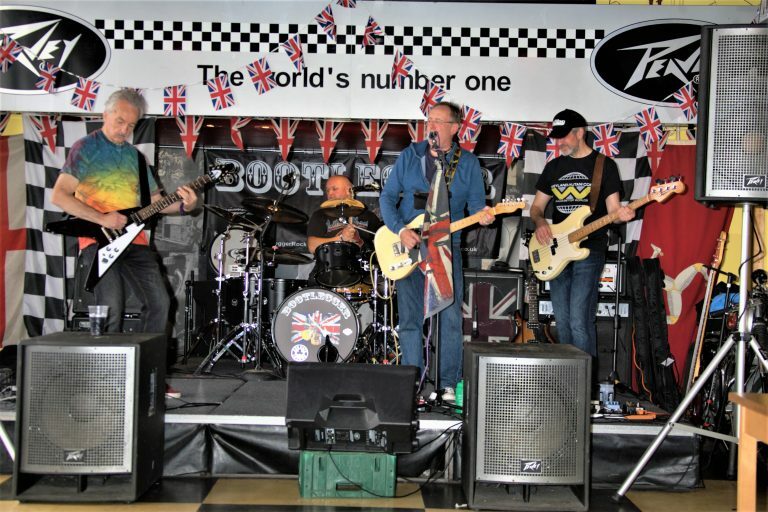 The persistent torrential rain kept some of the fair-weather bikers away, but all those who attended had a great time. 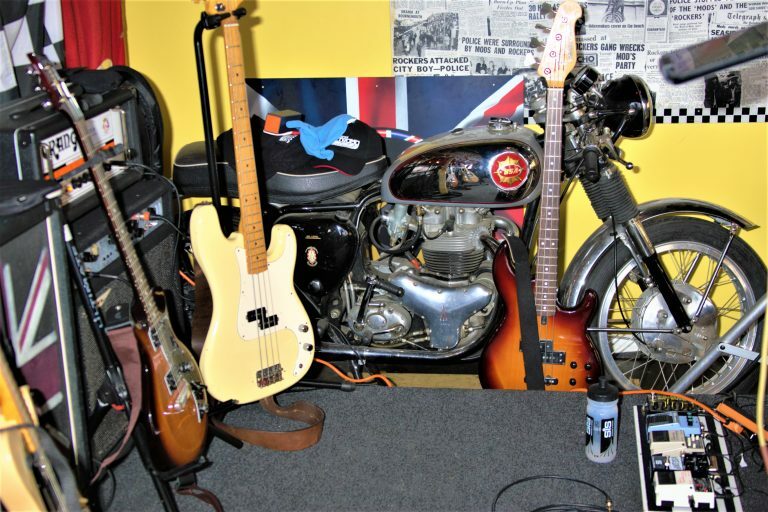 We rocked them with an all-killer, no-filler setlist featuring classics from Led Zeppelin, The Stones, ZZ Top, Bowie, Lynyrd Skynyrd and many others, including – specially for awesome sound engineer Nick – Motorhead’s Ace of Spades! 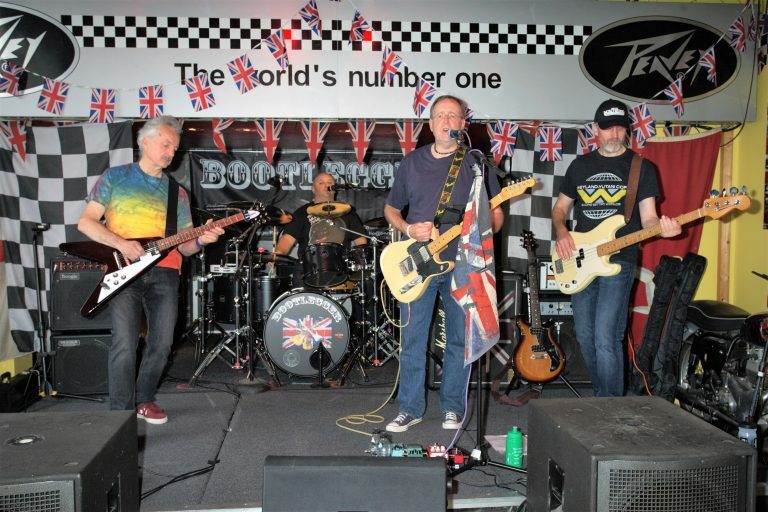 We played two sets, getting on for two-and-a-half hours of the best classic rock. Everyone had a great time and we hope to be back soon! 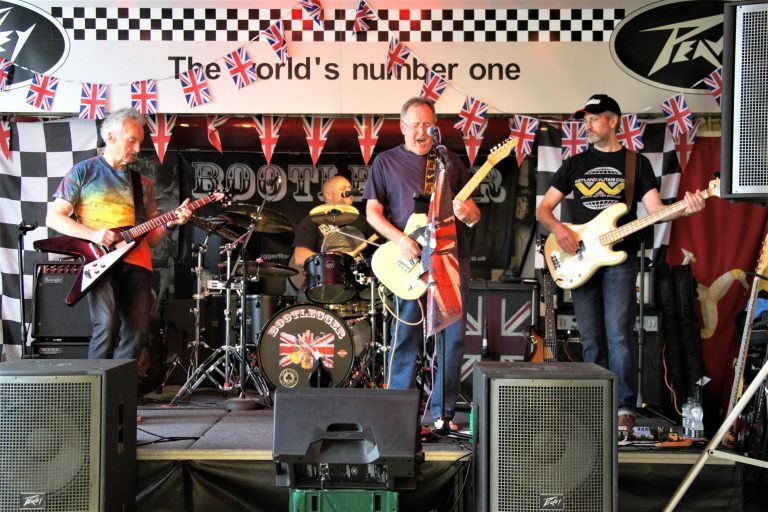 Contact us if you’d like some great classic rock at your event! 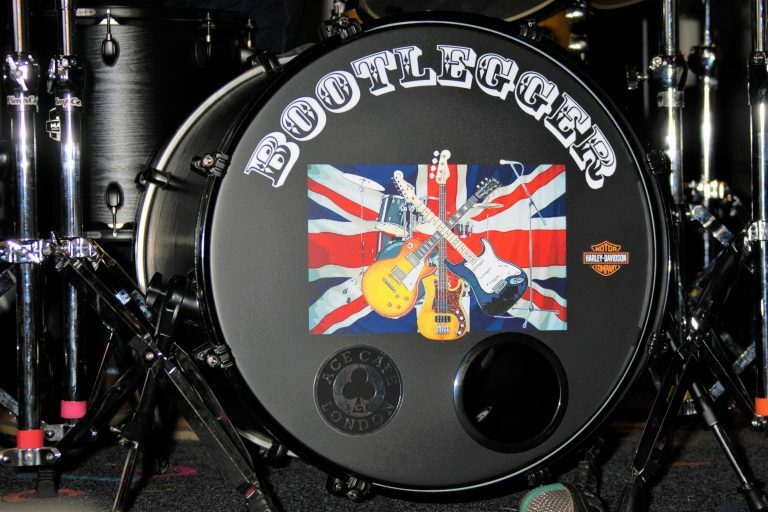 Bootlegger bring classic rock to the Ace Café London. Drummer in waiting Hadley takes to the stage!